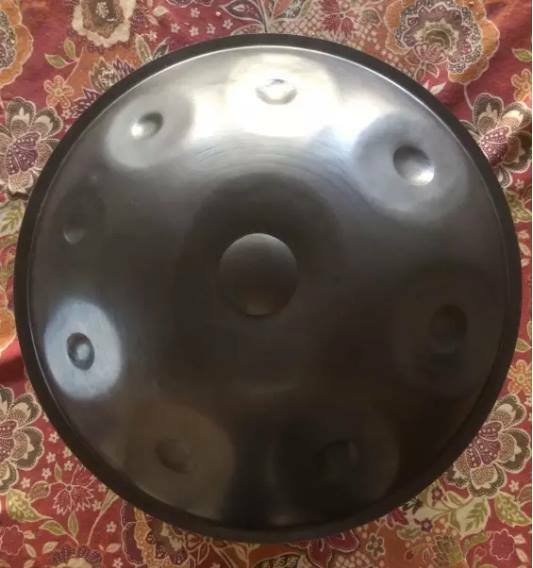 I have been playing Handpan for 5 years. and have played hand drums and percussion for about 25 years. 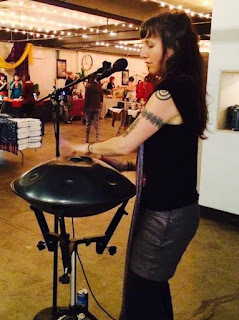 I am a handpan player available for recording, improvising, performing at public and private events. My lessons are $40 per hour. A student does NOT need their own instrument for lessons as you can use one of mine. I also offer online lessons at the same rate if you have your own instrument. I've taken lessons with Viola for the past year, she is an amazing teacher! I felt a connection to the handpan the first time I heard it but had no playing experience. I found Viola and after about two lessons I knew I should get an instrument myself, with Viola to guide me in my handpan journey. Learning the approach, structure, and fundamentals I'm developing rhythms and melodies that are giving me my own expression! I get more and more inspired with every single lesson. Also, her playing is incredible beyond words, It's an honor to be able to jam out during lessons too! Viola is the perfect handpan teacher for my 11 year old son. He's learned a lot from her about this unique instrument as she relates well while sharing her knowledge and technique. So glad we found Viola!